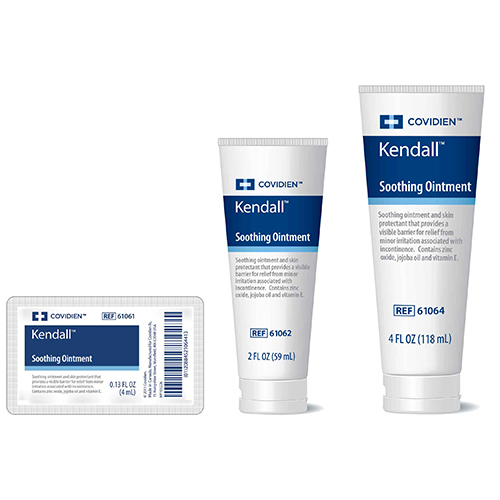 Covidien Kendall™ Soothing Ointment is a zinc oxide and petrolatum based ointment that spreads easily and provides a durable, visible barrier for the skin. Covidien Kendall™ Soothing Ointment is a zinc oxide and petrolatum based ointment that spreads easily and provides a durable, visible barrier for the skin. It acts as a barrier to moisture and irritants when the natural barrier ability of the skin has been compromised. The formula is hypoallergenic and pH balanced.